Not only do herbs add so much depth and flavor to dishes, but they also contain more antioxidants than just about every fruit and vegetable out there. 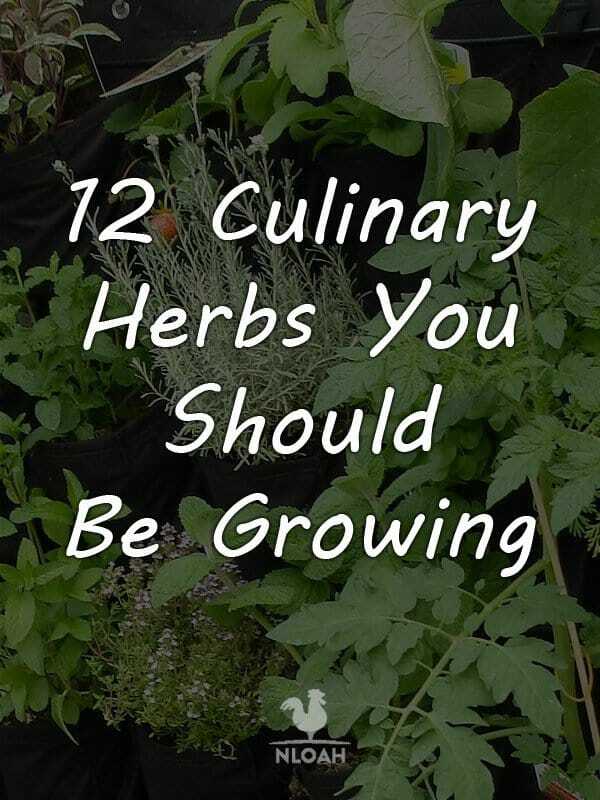 From thyme to tarragon, these herbs are not only easy to grow, but they’ll make your food taste better. When it comes to cooking with basil, pesto is one of the most popular dishes, as this enables you to make use of so much of the herb, and doesn’t require many other ingredients. 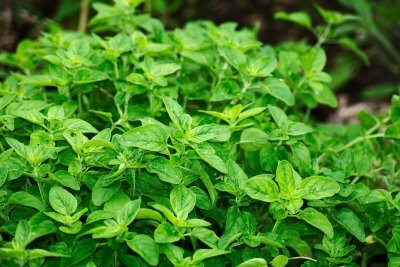 Basil also works well when paired with seafood, such as in garlic basil shrimp, lemon basil salmon, or halibut with capers, cherry tomatoes and basil. Don’t neglect basil when it comes to desserts either, as this herb complements strawberries, as well as lemons and limes, beautifully. In addition to eating it, you can use it topically, meaning apply it directly to the skin. 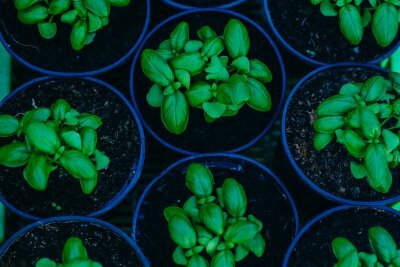 The essential oil that can be extracted from basil is packed with antioxidants, and contain compounds that are small enough to easily penetrate the skin. Did you know that there are actually 35 different varieties of basil? 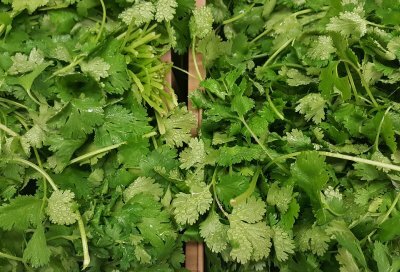 Also known as coriander or Chinese parsley, cilantro is so versatile to grow, as everything from its leaves to its stems to its seeds can be used in the kitchen. 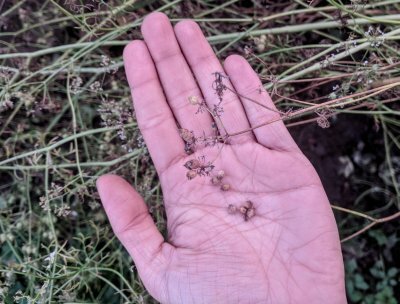 When it comes to using the leaves and stems, most people tend to just use coriander as a garnish, but there is no reason why you cannot let this herb take center stage. Cilantro makes a great pesto, and can also be turned into a spicy sauce to drizzle over meat or fish, or cooked up with carrots for a fresh and tangy soup. Of course, if you let it flower and produce seed, you’ll have a whole new ingredient available to you. The seeds can be used in so many ways, with many Asian, Mediterranean and Middle Eastern recipes calling for them. If your plant produced too many seeds, try crushing some of them into a powder, as this makes a great spice to add to curries, stews and meat rubs. Parsley is a Mediterranean herb that has been used around the world for over 2000 years. This is a herb that is packed with vitamins, with just two tablespoons of parsley providing 12% of your vitamin A intake for the day, 16% of vitamin C, and an impressive 150% of your vitamin K intake. 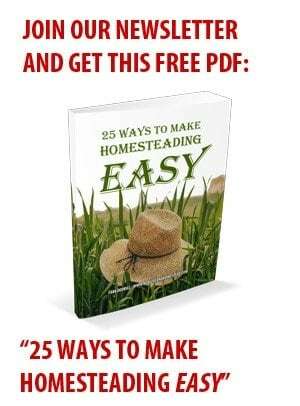 There are a few different types of parsley, but you will most likely come across the flat leaf and curly parsley varieties. Both of these are fantastic for using in the kitchen. 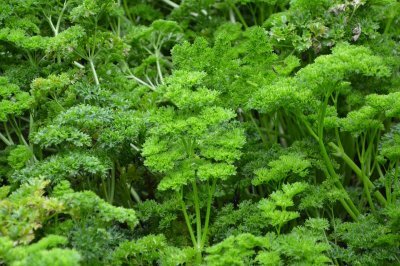 If you are looking for a perennial parsley plant, you could give Japanese Parsley a try, but this has more of a bitter flavor, and its stems are usually eaten like celery. Thanks to its light flavor, parsley can be used in just about every savory dish out there. A parsley butter is always a delicious addition to meats, seafood and vegetables, while deep-frying it briefly gives it an exciting new texture. A low-maintenance herb from the onion family, chives tend to be one of the first herbs to begin growing in the spring, as well as one of the last to die down in the fall. Chives are a perennial, and are so hardy, making them well worth having in your garden. While chives taste great with meat and seafood, eggs are the protein that really complement them. Whether you are scrambling, frying, or making a quiche, try throwing in a couple of handfuls of chopped chives for your dish to really shine. 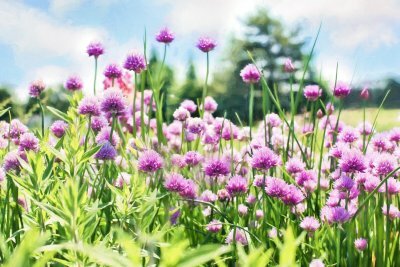 Chive flowers can also be used in the kitchen, either as a pretty garnish on dishes, or they can be steeped to create a purple-colored chive blossom vinegar. While chives can be frozen or dehydrated, this severely affects their flavor and texture, meaning that this is one herb that often does not get preserved. However, since it is a perennial, it will not be long before it makes an appearance yet again. 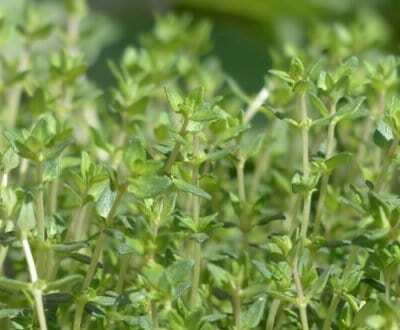 Thyme is a perennial evergreen herb from the mint family, and is wonderfully aromatic. 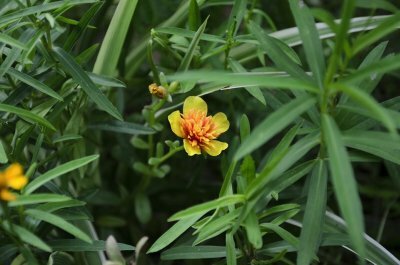 This herb is not only used in the kitchen, but also medicinally, while some varieties serve as just an ornamental plant. When cooking with thyme, you can either strip the leaves off of the stem, or just use whole sprigs. This is another herb that works really well with eggs, but also brightens up meat and seafood, especially lamb. Unlike many other herbs, thyme holds up quite well when refrigerated, and will happily sit in your fridge for up to two weeks. However, if you would like to dry it to preserve it, this is something well worth trying, as dried thyme retains quite a bit of flavor and can be stored for up to a year. 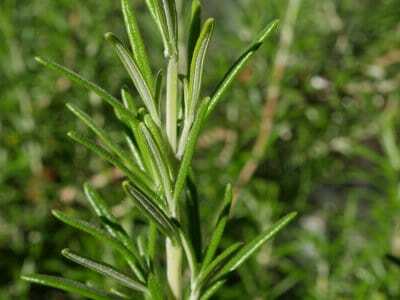 Rosemary is is frequently used both fresh and dried. In its fresh form, it can either be used as whole sprigs in everything from roast vegetables to Italian breads. You can also use it in stuffing for meat and fish, but, if you are going to chop it, make sure that you do it finely. Since rosemary has such an aromatic flavor, it also lends itself well to many deserts, from fruit salads to sorbets. If you’re using dried rosemary, try to crush it between your fingers before adding it to food, as the leaves can sometimes be quite sharp. 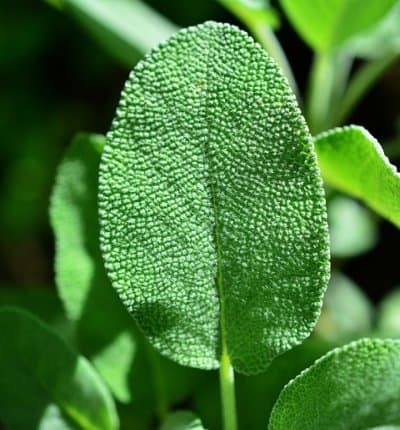 Sage has quite a strong flavor, so you do not need to use much of when cooking. Sage pairs beautifully with dairy, and works great with dishes containing cheese. In Italy, sage is commonly chopped up quite finely, and then mixed with melted butter before being stirred into pasta or gnocchi. This concept could also be applied to meat and seafood, which sage would really enhance. In terms of the different sage varieties out there, many are best as ornamental plants, so you do need to be careful when choosing a variety for culinary purposes. Garden sage and purple sage are the most commonly used in cooking, while berggarten sage is a hybrid variety that is exceptionally fragrant. 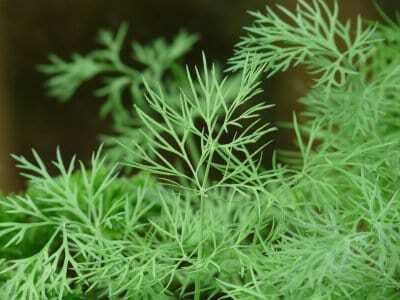 Dill has a unique, anise-like flavor, but, since it is quite a delicate herb, it is usually best saved until the end of the cooking process. Fish and eggs are the two proteins that dill works best with, although just about any poultry dish would benefit from a sprinkling of dill. The seeds should also not be forgotten about. Dill seeds are key when it comes to dill pickles, as well as making a dill vinegar. 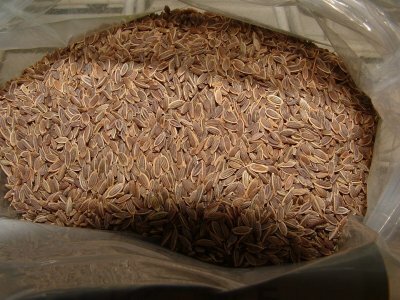 Whether you use them whole or crush them up, dill seeds can be incorporated into everything from breads to soups. As you can see, fennel is worth growing, especially since it can be used in the kitchen in so many ways. The most obvious recipe for any green would be a pesto, but, if you want to get more creative, try using the fronds to create a bed on which you cook some fish, whether this may be grilled, roasted or steamed. 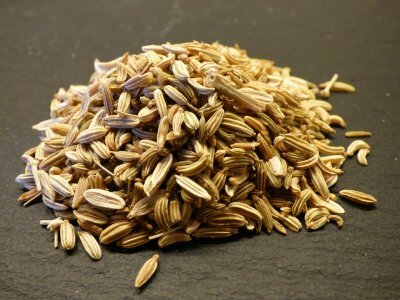 Fennel seeds can be gently bruised and then steeped in water to create a tea, to can experience its health benefits quickly. 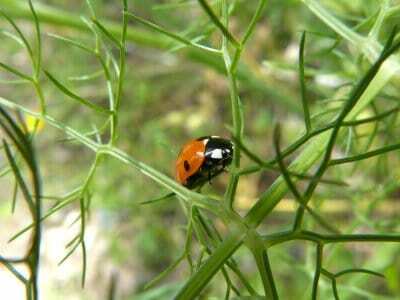 Fennel is commonly used to make tea, and is a key ingredient in chai. When you’re using the fennel seeds whole, make sure that you crack or bruise them slightly, as this helps to release their fragrant oils. 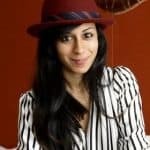 When many think of oregano, pizza is the first dish that comes to mind, and this is because oregano is one of the main herbs to flavor pizza sauces, and is also sprinkled on top in many countries. Oregano goes so well with a variety of foods, from meat and seafood to vegetables and grains, making it suitable for your garden no matter what you tend to eat. Try mixing in some chopped oregano the next time you are making burgers, or minced into a marinade to top a roast chicken, with a few sprigs placed inside for extra flavor. Oregano has quite a high oil content, meaning that it is a herb that dries quite well. However, it can lose its pungency after a few months, so will need to be replaced regularly. Tarragon is in the sunflower family, and is a perennial herb that features long green leaves with yellow/white flowers. Compared to the other herbs on this list, tarragon is not as frequently used, but it adds such a distinct flavor in the recipes that do call for it. Tarragon is a key herb in many classic French dishes, such as a traditional bearnaise sauce and coq au vin. Keep in mind that heat diminishes their flavor, so only add them into your dishes in the last 15 minutes of cooking. In addition to cooking with the leaves, you can also use them to flavor different condiments. Try creating a tarragon-infused mustard, and using this to pep up burgers and hot dogs, or a herb vinaigrette featuring tarragon, parsley and thyme. The two varieties most commonly grown for the kitchen are French tarragon and Russian tarragon. If you have to choose between the two, opt for the French, as the Russian variety tastes slightly bitter, and does not have as good an aroma. 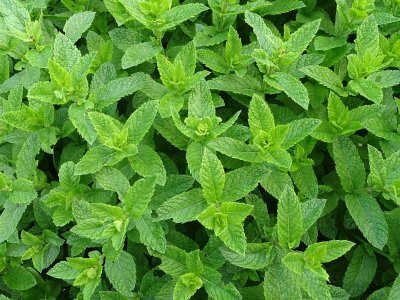 Mint is most commonly used in beverages, from hot mint teas to refreshing fruit and mint-infused waters. However, it’s an ingredient that can also be incorporated into savory dishes. Mint adds a zing to potatoes, as well as to peas, or, if you would like something more exotic, try putting together a Tabbouleh, which is a bright and refreshing Middle Eastern salad that makes use of fresh parsley too. There are many other culinary herbs you could grow, from borage to saffron, but these do not tend to be as commonly used in the kitchen. 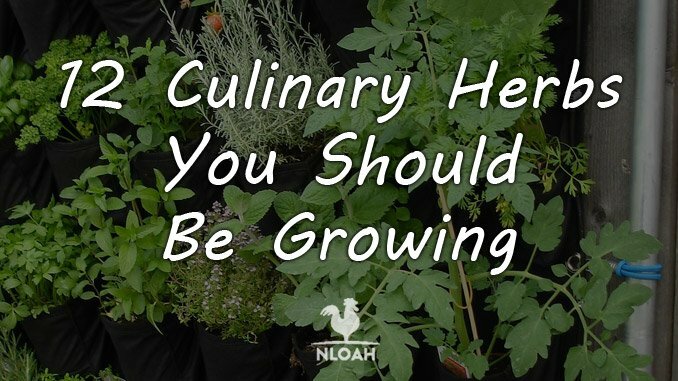 If you grow any culinary herbs that you simply could not do without, let us know in the comments section below! I grow almost all but didn’t know their great values, great info,thank you much!